Official Flag is an item which represents related institution with you and the organization where you are located. It is usually found on manager tables and official rooms. It is the biggest visual element for representing mainly our country, other countries and brands. It is also a prestige indication for you to have an Official Flag on your table. The reason for the use of this flag type may vary in Public Institutions and Private Organizations. However, the main aim is to emphasize that the area you represent bears a brand value to your guests. Even if Official Flag, which symbolizes the countries, has a slightly different purpose, as a result, it is the brand symbol of related country with the presence symbol. 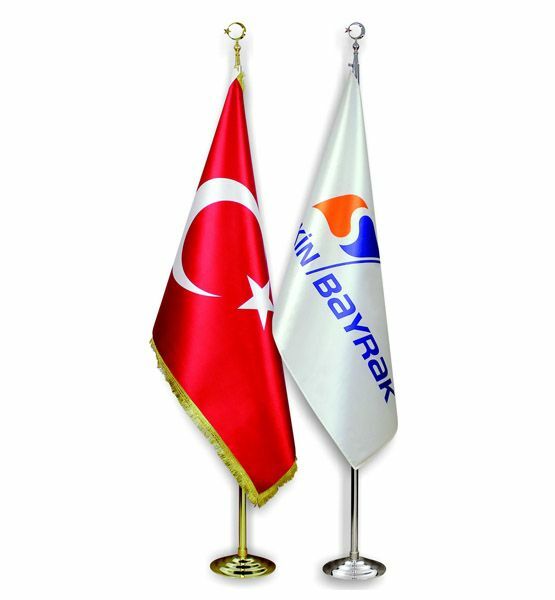 We, as Seçkin Bayrak, are preparing all your Official Flag orders as soon as possible.